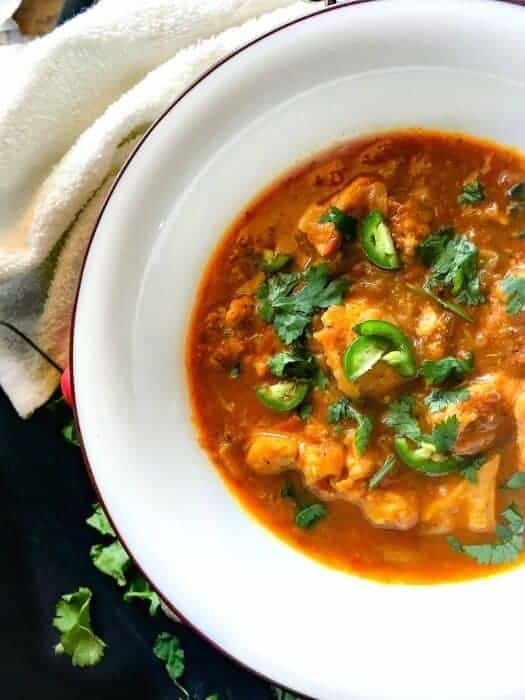 Indian Chicken Stew: extremely delicious, rustic, healthy and nourishing stew under 20 minutes using holistic/healing Indian herbs and spices like ginger, cloves, cardamom. 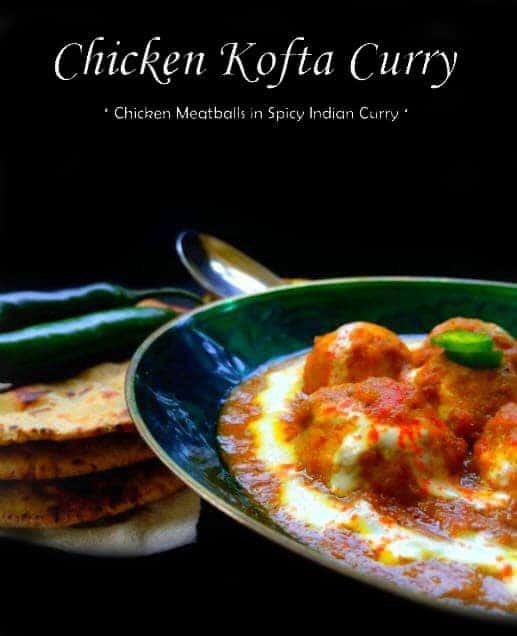 Enjoy with a side of your choice or serve it Indian style with roti/rice. 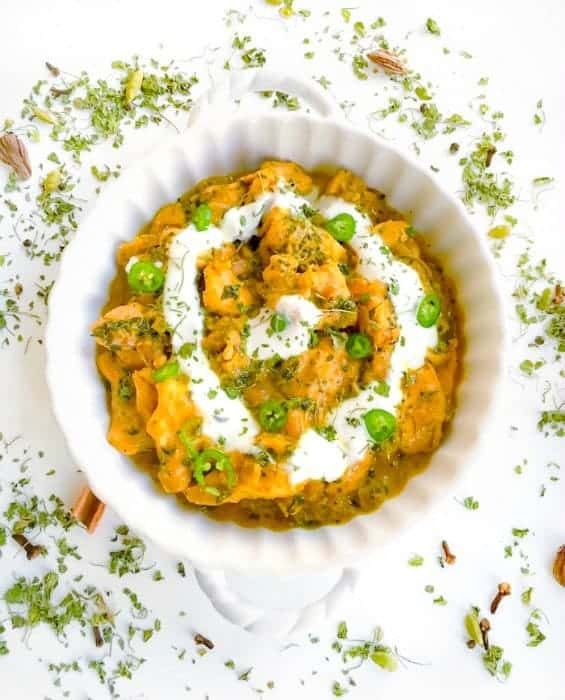 Indian Chicken Stew recipe is your best bet on a busy day. It’s been a while since we noshed on some typical Indian style – homecooked meal. 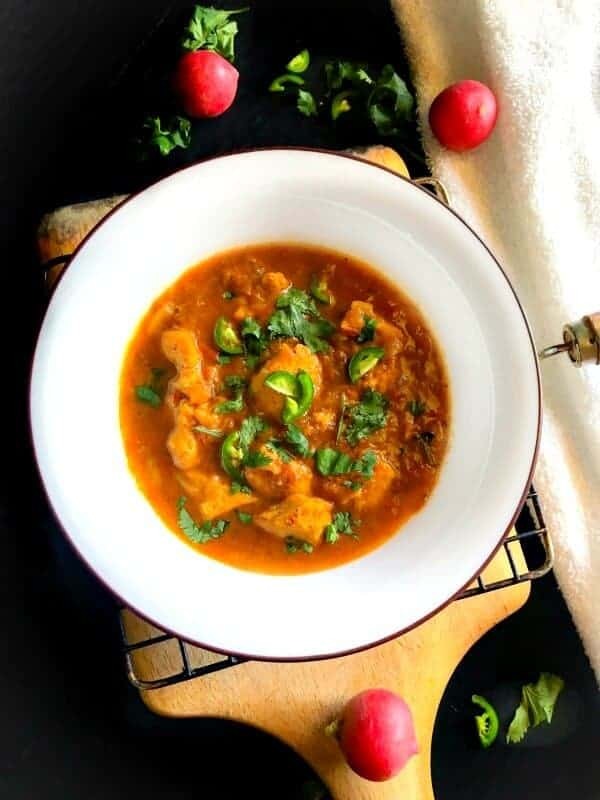 So I’m planning to make my Mom’s Nourishing Indian Chicken Stew which is a simple yet comforting dish. It has a light base and uses healing spices to quickly energize the body. 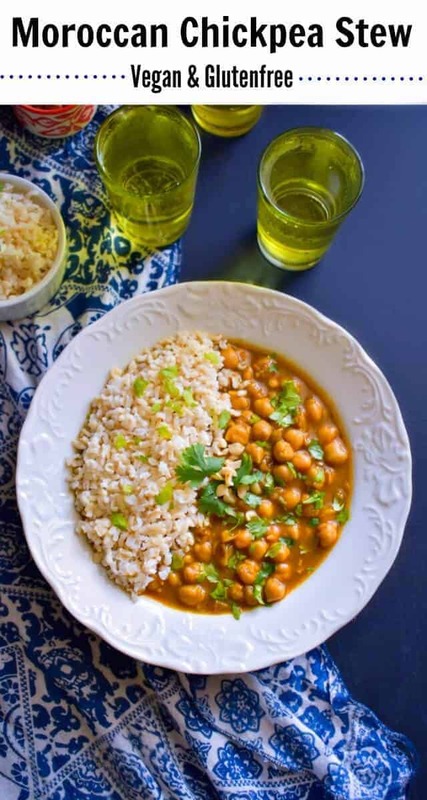 Growing up in India, I used to love weeknight dinner, as that was a time where everyone would sit together for dinner. Talk about the rest of our day and gorge on mom’s homemade chicken stew with lots of rice and maybe some fresh yogurt dip called ‘raita’ – yes, that’s perfect comfort food for us! This Indian Chicken Stew was also one of the first chicken dishes that I’d learned to cook from mom. I always admire her knowledge of spices, ingredients, and her ease, comfort in cooking with them and I simply wanted to cook like her. Those were the days when in the afternoon after all her work, she used to sit with her cooking magazines/books. Marking ingredients/spices which needs to be ordered from special stores (usually International ingredients). Till date, we discuss / facetime about a new ingredient/spices that I found and ways to use them. my Dad n D are always wondering WHY that odd looking ingredient resulted in 20 mins of excited chat …hehehhe!!! 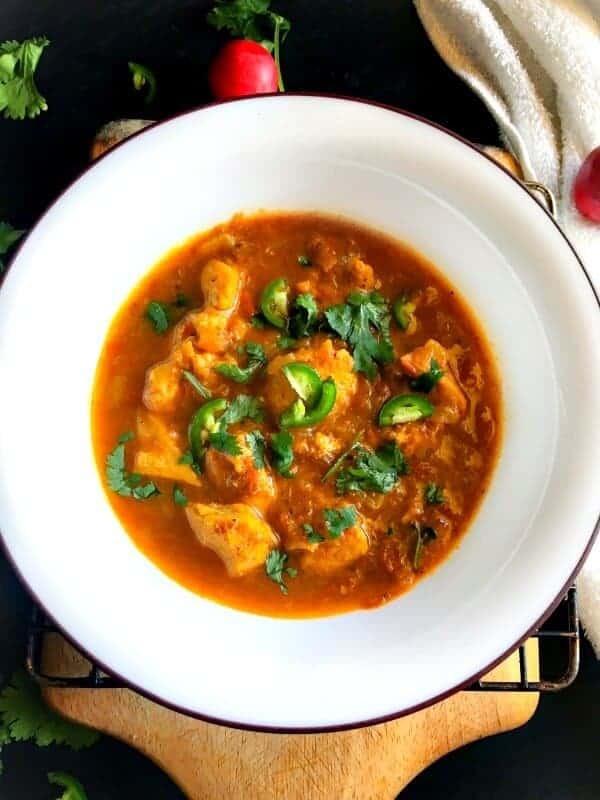 Okay, before I forget, let’s get back to the nourishing Indian chicken stew which is basically chicken cooked in a mild yet a very flavorful runny gravy/stew. We have used spices such as clove, cardamom, mace, nutmeg, cinnamon which heals our tummy and is nourishing for our system. Off-course, there’s garam masala too without which our Indian curries/stews are incomplete. 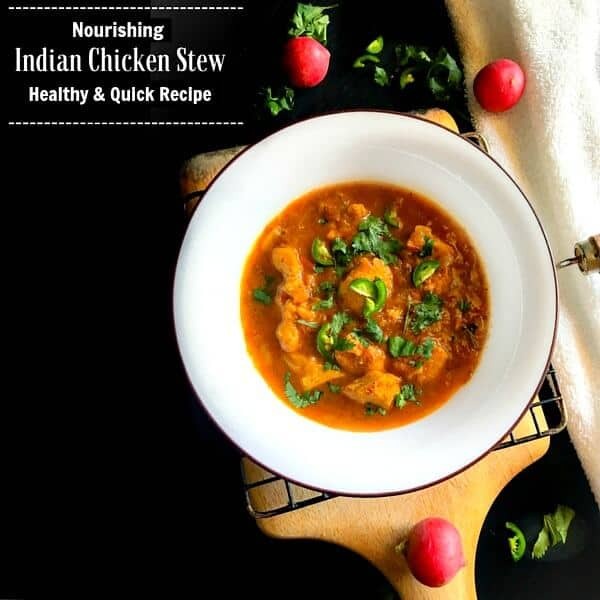 Indian Chicken Stew: rustic, healthy and nourishing stew under 20 minutes. Add all the mentioned spices and sauté for 30-40seconds. Add onion, ginger+garlic paste, and fry till onions are pink in color. Now add chicken, sauté nicely and cook on a medium flame, till the chicken is almost cooked (10-12 mins). Now add water, cover with the lid and cook on medium heat for 7 minutes. Once cooled, transfer to a serving bowl, decorate with some fresh cilantro and serve hot. 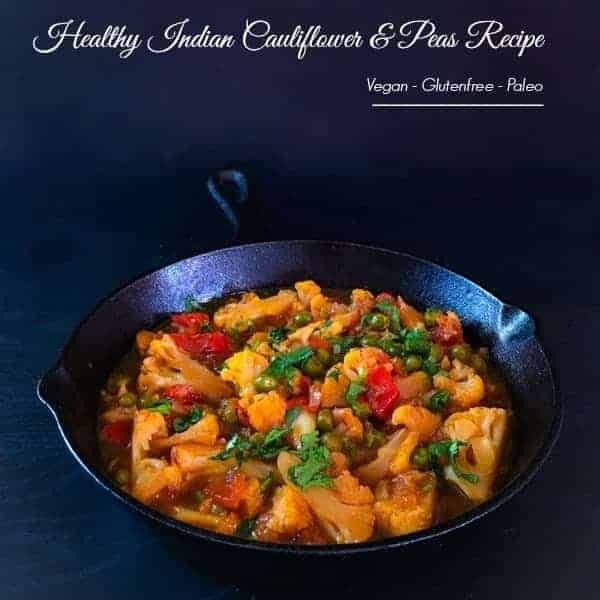 20 Replies to "Nourishing Indian Chicken Stew (Simple & Healing Recipe)"
I did make this tonight and it is so good! I’ve got to make this like tonight! It looks and sounds amazing! I love the complex flavors in Indian food! I bet these spices are amazing! I agree with you Liz, the spices adds such a mild aromatic flavor to the dish which makes the stew taste delicious. Thanks for visiting. So many lovely flavours! And I love that it can be ready in 20 minutes. Lovely. so many similar memories Molly! My mom and I have similar excited conversations too.. actually my sis and me even more so! The curry looks delicious..would love to settle down with it right now! Chicken comes out perfect in a pressure cook!. I loved this recipe.